It's Earth Science Week, and "Earth as Inspiration" is the theme for this year. Inspiration can take many forms. Sometimes it is awe-inspiring beauty, something our planet has in great bounty. But the earth can kill, and inspiration can be related to preparation for disasters. On October 17th at 5:04 PM, my physical geology laboratory had just finished and almost everyone had gone home to watch the World Series. A couple of students were helping me (it was Maureen and Sonny; funny how I remember the names of the first students I had better than the ones I had last semester). We were 100 kilometers from the epicenter, so when the seismic waves started to shake our building, the movement was a strong rolling motion instead of sharp vibrations. We looked at swaying TV monitors, and commented that it was an earthquake. It was a most scholarly discussion, actually. We realized the shaking was not stopping, and we thought we could sense the direction of the quake as well. We started to guess where it might be happening, but when the shaking reached the 40 second mark (the energy was spreading out, it lasted only 10 seconds or so near the epicenter), we realized it was a major event, and that fatalities were probably occurring (and unfortunately we were right). The deodar trees out the window were whipping back and forth as if they were in a high wind. The strangest part for me was the unconscious decision I was making as the shaking progressed. Despite having a quiet scholarly discussion, my body was moving from the front of the podium to the back, where there was a nice solid space to hide under. 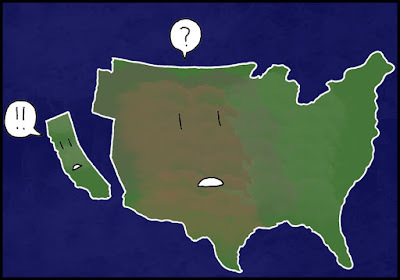 I would have dived under if the quake had lasted any longer. In hindsight, I should have been a bit more aggressive about taking shelter under the desk. An analysis of our building a year or two later revealed an architectural weakness that suggested the building could collapse if the seismic waves hit it from a particular direction. A seismic retrofit a decade later included some massive shear walls in the lab I taught in. Meanwhile, at the city library, my children were making me proud. At the time of the quake, there were huge sailing ship models on display, in some cases right on top of the book stacks. The stacks were not reinforced or braced, so there was a real potential for injuries if the quake was strong enough to knock those stacks over. I was told that most people were just standing there watching the bookstacks swaying, but my kids, my well-trained and intelligent kids were the only people in the room to take shelter under the sturdy study tables. Luckily, as I said before, we were on the fringes of the effects of the earthquake and no one was hurt. 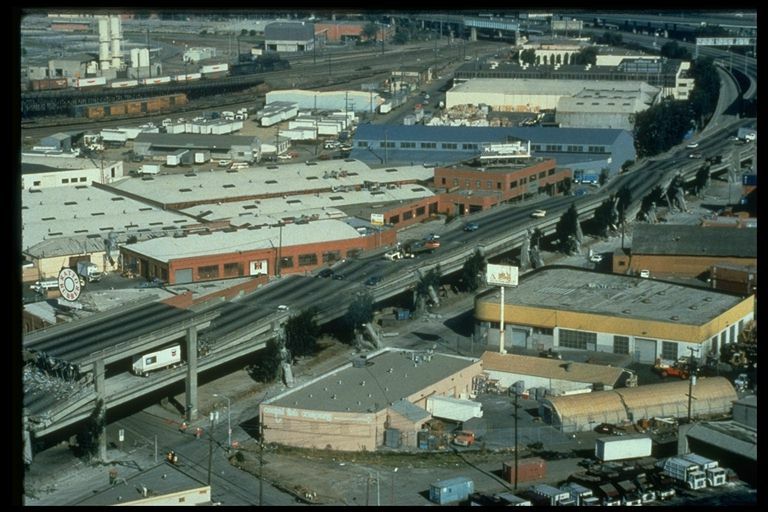 The double-decker freeway in Oakland. It was not designed for the amount of shaking that occurred. The Loma Prieta earthquake, a magnitude 6.9 event at a depth of 11 miles, was a tragedy: 63 people died, and 3,700 were injured. If the World Series game between the A's and the Giants hadn't been about to start, the death toll would have been much higher. Traffic was stunningly light that afternoon. Despite this, the Bay Area was in chaos for days and months passed before life got back to normal. We were on the fringes, so instead of pain and suffering, we had a profound learning experience that was remembered by my students for the next decade and a half. But it has been 29 years now, and many of my students weren't born when the quake happened. Few of them have felt a quake at all. 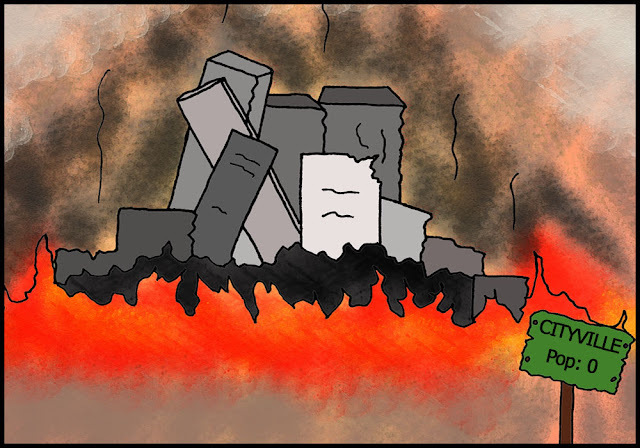 The large quakes like Loma Prieta and Northridge are ancient history, and there is less of that innate knowledge of what they should do when one hits. Few admit to having any kind of emergency kits at home, and they have no plan for what to do when the next big one hits. 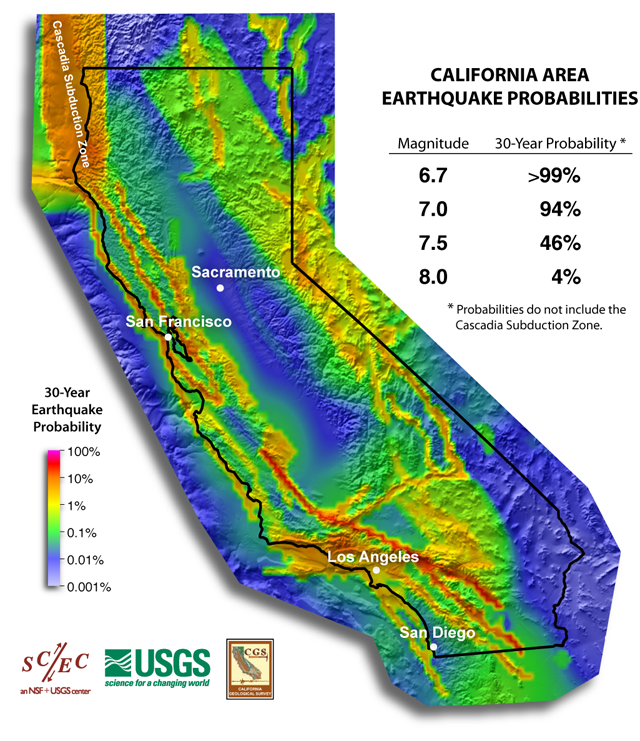 Fault studies across California make it clear that more big tremors are coming, almost surely within the next decade or two. We educators must keep these past events alive in the minds of our students so they will be ready for these events when they come. This is an abridged version of a blogpost from 2009.